Back in Vital Weekly 809 I reviewed a CD by Roel Meelkop in collaboration with Japanese sound artist Takanobu Hoshino, who now started his own label. 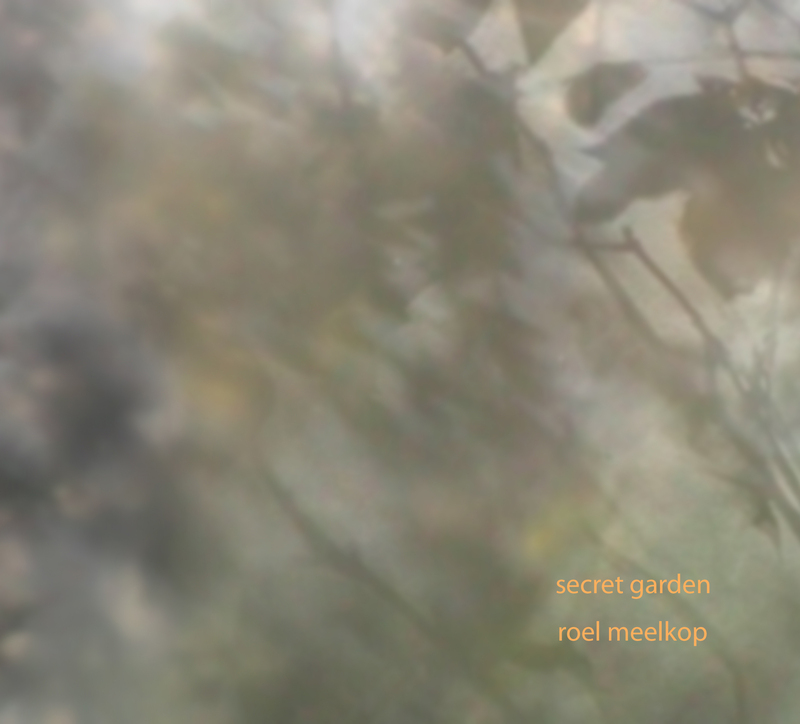 The release by Francisco Meirino we hope to review in the near future, but here's Roel Meelkop's 'Secret Garden' release. It started out as the soundtrack to a film of the same name by Marco Douma, with whom Meelkop worked before. An hour long movie, we are told by the liner notes (a rare thing for Meelkop) of 'letting go, in forgetting the goal and enjoying the ride'. The film existed before Meelkop did the music, but in honor to the film he decided to create his soundtrack, as an interpretation of the film. Both can be enjoyed together and independently. Like his CD with Hoshino we encounter a new Meelkop direction here, one that is perhaps getting more and more 'ambient'? Unlike his previous works which were heavily 'composed' with abrupt change-overs, heavy computer processing and such like, we have here a Meelkop that is also letting go. There is no doubt some form of computer processing in play here, but it all sounds more like unprocessed field recordings. One bit we recognize from his contribution to the 'Villa Fiasco' (see Vital Weekly 820) project, but for the rest of this more than an hour long CD we move from part to part. Each part seems to be sliced from one bit of field recording (just plain church bells in one part) or sound sources, like singing bowls (a recent interest from Meelkop) and it seems that it is presented almost 'as is', but surely isn't. It moves minimally around until fading into the next part, the next movement. This is Meelkop, I guess, at his most ambient. Not unlike that recent collaboration this is definitely the next step in a new direction. I haven't seen the film, but this soundtrack, if such it is, is great!